When it comes to hurricane prediction, the consensus is on the need for consensus among forecasters. No single computer model should be relied on. And no forecast remains static. 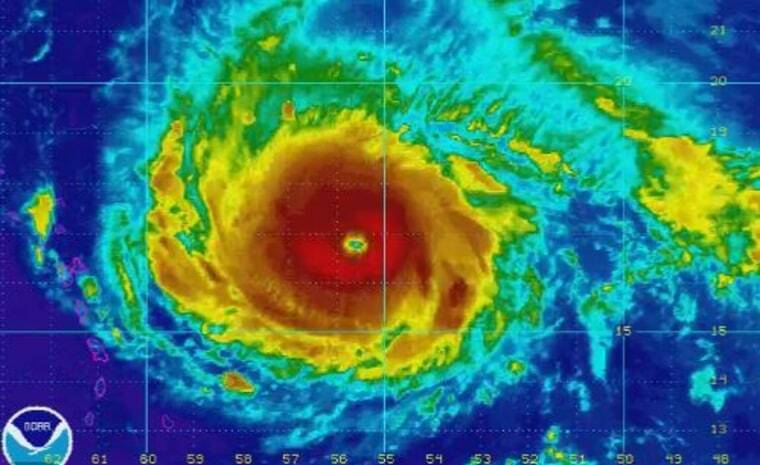 So as Hurricane Irma roars through the Caribbean, forecasters are looking at the top weather models from Europe, the United States and Britain, collectively, to track what on Tuesday was already being described as the second-strongest storm observed in modern times. But even the world’s best weather minds and most powerful computers can’t say precisely where the Category 5 storm is headed or whether it will retain its 185 mph winds when it hits the U.S., probably sometime this weekend. One major factor that can't yet be determined: whether Irma will hit Cuba and lose power along with the energy-sustaining warmth it gained over the open ocean. The best hurricane forecasting systems today are global models that solve the mathematical equations about the behavior of the atmosphere all over the world, said Jeff Masters, director of meteorology at the Weather Underground, a research group he founded. Tops among half a dozen of these systems in recent years has been the ECMWF, the European Union’s super-computing system. The European Center for Medium-Range Weather Forecasting, known to those in the trade as the "European Model," has used very high-powered computers for more than a decade to model weather patterns around the globe. The models, known as four-dimensional variational data assimilations (or 4D-Var) are expensive and take longer to assemble — producing two projections a day compared to the faster modeling systems run in the United States, which produce four or more projections every 24 hours. The results from the European system, an intergovernmental alliance of 34 nations, are available only to members and collaborators. Private weather organizations also pay to obtain forecasts and data, but experts said the price is worth paying, because the ECMWF forecasts have been the most reliable in recent years. But Maue and other experts stressed that they look at the European model, and the thousands of possible outcomes it spits out, along with many other models, in trying to predict the path and intensity of storms like Irma. The principal predictive tool operated in the United States is the Global Forecasting System (GFS), run by the National Weather Service. Models generally have become twice as good in predicting storm tracks over the last two decades and the GFS system is particularly strong in this regard, said Masters. The National Hurricane Center in Miami uses both the European and America’s GFS system, along with several other computer modeling systems to make its forecasts. Britain’s UKMET system is known for accuracy derived, like the European system, from high-powered 4D modeling. America’s HWRF (Hurricane Weather Research and Forecasting) uses real-time data, including from airplanes, to track ocean waves and, thereby, wind speeds. Maue said HWRF did a “fantastic” job predicting the rapid intensification of Hurricane Harvey, as it prepared to make landfall last week. That remains one of the most difficult challenges for forecasters — because accurate intensity calls allow individuals, and governments, to decide when evacuations are a must. The importance of perusing multiple models was exemplified again this week as the GFS model predicted a phenomenally low 870 millibar atmospheric pressure reading, said Masters. That would indicate winds of 200 miles per hour, or more, could be on the way. As much as the science of hurricane prediction has improved, there is a lot left to know. Predictions made four days prior to landfall still end up being an average of about 175 miles off the mark, said Masters. Even with all the models and improvements, experts still don’t know a couple of crucial things about Irma: How will local "steering currents" fluctuate, hour by hour, to redirect the storm as it gets closer to shore? What will be the exact location, and strength, of pressure systems around the U.S. that will determine when Irma turns northward? The huge storm will look for the path of least resistance — probably toward a trough of low pressure to the north. That would cause Irma to make a right turn up into the Atlantic Ocean, said Maue, a popular scientist, whose weather charts are followed closely by other meteorologists.